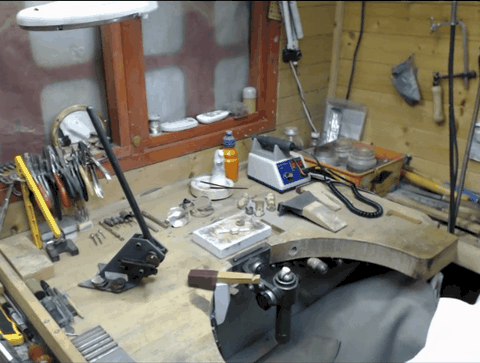 Family Crest Jewellery registered trading name " Handmade By Me " is an independant family business, husband and wife no staff to pay, working from an air conditioned log cabin workshop which is 9 ft x 6.5 ft nicknamed "The Tardis" . 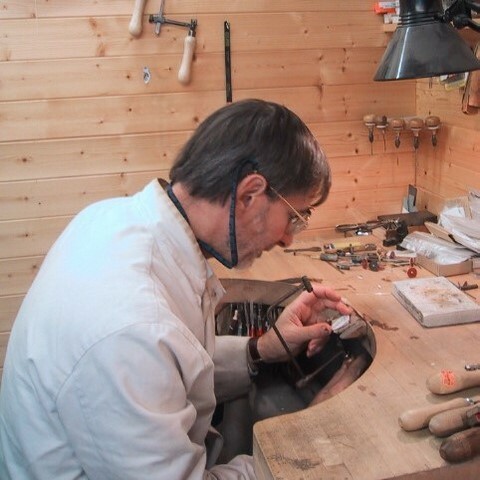 We do not have the constraints of a traditional business, we are a "Cottage Industry" no rent or business rates to pay, and as I am (Viv) semi retired mainly due to failing health I am no longer able to work 6 days per week or 12 hour days. As a result I have also de-registered from V.A.T so the only VAT you pay is what is included in the bullion or stones I buy, and as some of my gold products are made from recycled gold (old used jewellery) often there is no V.A.T included at all. 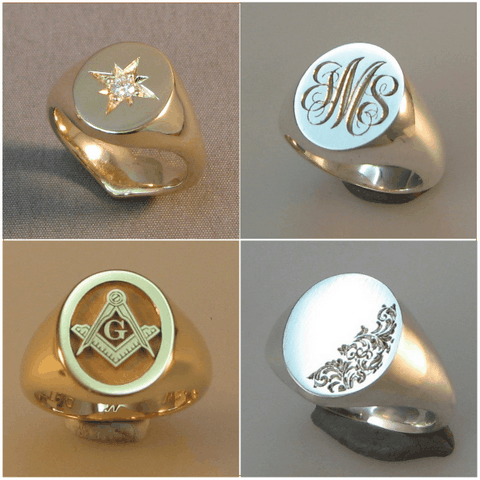 Signet ring manufacturing has been my passion since my last two years at school when one of the two metal work teachers introduced me to it , working in his lunch breaks making rings and pendants as a side line to sell on, or given to his friends and family as gifts. Watching him cast a signet ring in cuttlefish bone facinated me . Over 40 years hence and on a regular basis I often hear my metal work teacher Barry M..... (you know who you are) hollaring at the top of his voice "Foster use your initiative" thanks you Barry, you got me through life, as a result I came out of school with one CSE in metalwork, little else except the ability to conjour up a solution or a technique all of my own to make, shape and design jewellery, & skills in engineering & woodwork.